It’s one thing to own a fire extinguisher—it’s another thing entirely to know how to use it! To extinguish a fire with a portable extinguisher, a person must be able to access the fire extinguisher, know how to activate the unit and know how to apply the agent effectively—all in the span of a few seconds. Jay L Harman Fire Equipment Company can provide comprehensive on-site training for your employees to ensure proper and safe use of your portable fire extinguishers. To schedule Fire Extinguisher Training in the El Paso TX area, call Jay L Harman Fire Equipment Company at (915) 533-7021 and in the Las Cruces NM area, call (575) 523-8880 or click here and fill out the form below. At Jay L. Harman Fire Equipment we carry a complete line of fire protection and related equipment. Whether you need to protect your home, business, or personnel. We offer personal protective equipment and emergency response equipment for those who put themselves in harm's way. We also provide fire safety and fire extinguisher training to suit your individual needs, from a simple power-point presentation, to actual hands-on live fire safety and fire extinguisher training. There are four elements that must be present for a fire to exist. There must be Oxygen to sustain combustion, Heat to raise the material to its ignition temperature, Fuel to support the combustion and a Chemical Reaction between the other three elements. 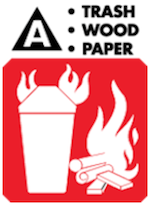 The concept of Fire Prevention is based upon keeping these four elements separate. Not all fires are the same. Different fuels create different fires and require different types of fire extinguisher agents. Some type of fire extinguishing agents can be used on more than one class of fire. Others have warnings where it would be dangerous for the operator to use a particular fire extinguisher agent. 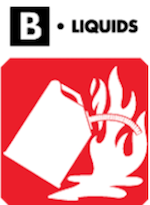 Class B Fires are fires in flammable liquids such as gasoline, petroleum oil and paint. 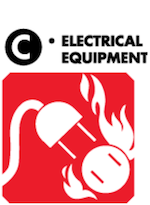 Class C Fires are fires involving electrical equipment such as motors and transformers. 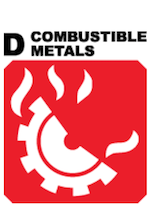 Class D Fires are fires in combustible metals such as potassium, aluminum, sodium and magnesium. 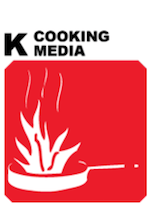 Class K Fires are fires in cooking oils and greases such as animal fats and vegetable fats. Water and Foam Fire Extinguishers extinguish the fire by taking away the heat element of the fire triangle. Foam agents also separate the oxygen element from the other elements. Water Fire Extinguishers are for Class A fires only - they should not be used on Class B or C fires. The discharge stream could spread the flammable liquid in a Class B fire or could create a shock hazard on a class C fire. Foam Fire Extinguishers can be used on Class A & B fires only. They are not for use on Class C fires due to the shock hazard. Carbon Dioxide Fire Extinguishers extinguish the fire by taking away the oxygen element of the fire triangle and also by removing the heat with a very cold discharge. Carbon dioxide can be used on Class B & C fires. They are usually ineffective on Class A fires. Dry Chemical Fire Extinguishers extinguish the fire primarily by interrupting the chemical reaction of the fire triangle. Today's most widely used type of fire extinguisher is the multipurpose dry chemical that is effective on Class A, B and C fires. This agent also works by creating a barrier between the oxygen element and the fuel element on Class A fires. Ordinary dry chemical is for Class B & C fires only. It is important to use the correct extinguisher for the type of fuel! Using the incorrect agent can allow the fire to reignite after apparently being extinguished successfully. Wet Chemical Fire Extinguishers utilize a new agent that extinguishes the fire by removing the heat of the fire triangle and prevents reigniting by creating a barrier between the oxygen and fuel elements. Wet chemical or Class K extinguishers were developed for modern, high efficiency deep fat fryers in commercial cooking operations. Some may also be used on Class A fires in commercial kitchens. Halogenated or Clean Agent Fire Extinguishers include the halon agents as well as the newer and less ozone depleting halocarbon agents.  They extinguish the fire by interrupting the chemical reaction of the fire triangle. Clean agent extinguishers are primarily for Class B & C fires. Some larger clean agent extinguishers can be used on Class A, B and C fires. Dry Powder Fire Extinguishers are similar to dry chemical except that they extinguish the fire by separating the fuel from the oxygen element or by removing the heat element of the fire triangle. However, dry powder extinguishers are for Class D or combustible metal fires, only. They are ineffective on all other classes of fires. Water Mist Fire Extinguishers are a recent development that extinguishes the fire by taking away the heat element of the fire triangle. They are an alternative to the clean agent extinguishers where contamination is a concern. Water mist extinguishers are primarily for Class A fires, although they are safe for use on Class C fires as well. Like the stored pressure dry chemical extinguishers, the multipurpose dry chemical is effective on Class A, B and C fires. This agent also works by creating a barrier between the oxygen element and the fuel element on Class A fires. Ordinary dry chemical is for Class B & C fires only. It is important to use the correct extinguisher for the type of fuel! Using the incorrect agent can allow the fire to re-ignite after apparently being extinguished successfully. Assist any persons in immediate danger, or those incapable on there own, to exit the building, without risk to yourself. If the fire is small and contained: The time to use a fire extinguisher is in the early, or incipient, stage of a fire. Once the fire starts to grow or spread, it is best to evacuate the building, closing doors or windows behind you. If you are safe from toxic smoke: If the fire is producing large amounts of thick, black smoke or chemical smoke, it may be best not to try to extinguish the fire. Neither should you attempt to extinguish the fire in a confined space. Outdoors, approach the fire with the wind at your back. Remember that all fires will product carbon monoxide and many fires will produce toxic gasses that can be fatal, even in small amounts. If you have a means of escape: You should always fight a fire with an exit or other means of escape at your back. If the fire is not quickly extinguished, you need to be able to get out quickly and avoid becoming trapped. If your instincts tell you it's OK: If you do not feel comfortable attempting to extinguish the fire, don't try - get out and let the fire department do their job. It is important to know the locations and the types of extinguishers in your workplace prior to actually using one. Fire Extinguishers can be heavy, so it's a good idea to practice picking up and holding an extinguisher to get an idea of the weight and feel. When it is time to use the extinguisher on a fire, Just remember to P.A.S.S.! 1. Pull - Pull the pin. 2. Aim - Aim the nozzle or hose at the base of the fire from the recommended safe distance. 3. Squeeze - Squeeze the operating lever to discharge the fire extinguisher agent. 4. Sweep - Starting at the recommended distance, Sweep the nozzle or hose from side to side until the fire is out. Move forward or around the fire area as the fire diminishes. Watch the area in case of re-ignition. Like any mechanical device, fire extinguishers must be maintained on a regular basis to insure their proper operation. You, the owner or occupant of the property where fire extinguishers are located, are responsible for arranging your fire extinguishers' maintenance. Fire extinguishers must be inspected or given a "quick check" every 30 days. For most extinguishers, this is a job that you can easily do by locating the extinguishers in your workplace and answering these three questions. Is the extinguisher in the correction location? Is it visible and accessible? Does the gauge or pressure indicator show the correct pressure? In addition, fire extinguishers must be maintained annually in accordance with local, state and national codes and regulations. Your fire equipment professional is the ideal person to perform the annual maintenance because they have the appropriate servicing manuals, tools, recharge materials, parts, lubricants, and the necessary training and experience. Now let's put your knowledge to the test. SCHEDULE FIRE EXTINGUISHER TRAINING !!! !